I love optical illusions with multiple meanings! At first glance, you see one thing, but look at it again and you’ll see something completely different. That’s what I have in store for you today! Take a look at this image. At first, what do you see? The silhouettes of two birds in front of the moon? Or do you see this as a funky little mustache illusion? I, myself, saw the two birds and the moon first. But, it didn’t take me long to see the mustache illusion in this image. If you’re having trouble seeing the man with the mustache, put a little more distance between you and the image. You should also be able to see the man with the mustache if you squint your eyes to unfocus your vision a little. What about you? Which image did you see first? 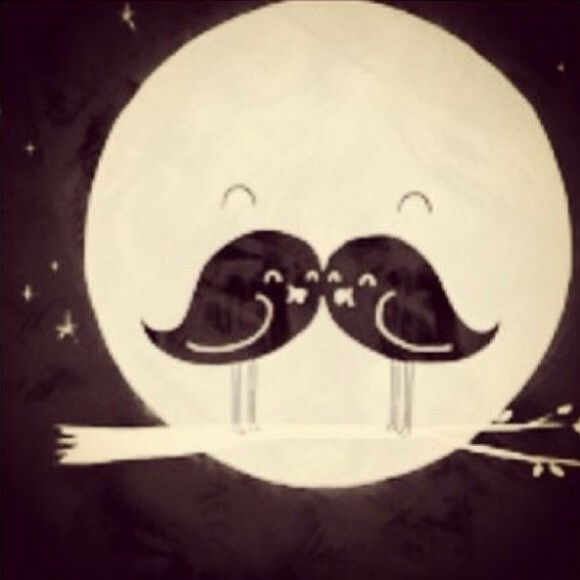 If you liked this moon or mustache illusion, be sure to head over and check out the president or penguin illusion as well! Which do you see first there?